My laddo has treated himself to a rather large 139cm x55 and heavy flat screen and wants it hanging from wall on a bracket. Not read the bumpf yet but assuming it can be wall mounted any tips on fixing to drylining ( i think). Its the old rendered outside wall of the house that had an extension added. Possibly a timber frame fixed to wall first but have no plans to verify. Got a cable pipe detector to give some clues. Maybe i can convince him just to get a unit to stand it on. Hitting youtube for some ideas but any info appreciated. A stud detector (really a nail detector) will tell you if there are studs. If the bracket can't screw into two of them its best to put a batton across studs and fix it to that. Sometimes a sheet of plywood can look better, because its wider it doesn't have to be so deep. Dry wall would take the weight with the proper dry-wall fixings but I never like risking it. I'd check to find the spacing of the studs and look for a bracket that matches it. You may be lucky, otherwise you'll have to follow DD's advice. I was lucky, having a layer of plaster on a brick wall, and used wall bolts. This was necessary for the original flat screen telly we had, but a more recent one is bigger, but a lot lighter. cheers guys..reinforced my concerns. Bit of an expensive thing to make a mistake with..
onto a single stud with a swinging/tilting bracket. slightly towards the centreline of the stud. Being a joiner for 40 years i do enjoyed these posts, there has yet to a stud wall built in a new house that will take the direct load of a Tv yet it does. Most stud walls are floating ie not attached to the outer skin of the house in the past i have seen whole walls collapse some new stud is only 60mm x 42mm old stud is 75mm x 50 with the random firing of nail guns which due to speed and price work hit and miss, the stud is held in place by the plasterboard. The best method on stud is an 18mm ply pre drill holes 60mm x 5 screws then use screws provided to secure bracket to ply that covers you for insurance / claims etc. Never attempt to fit to a drylined wall unless its concrete solids, thermolites are a disaster waiting to happen there is not a fitting yet invented to take the load. I've recently dry-walled a room and ceiling with the small studding and was feeling very guilty at the time, I not sure it paid off in cost, time or effort. 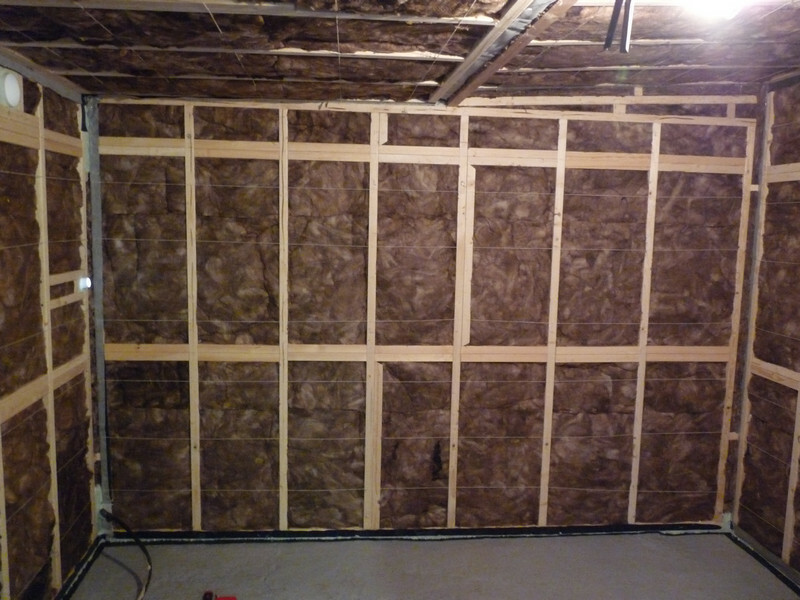 Smallish room, awkward to work in, needed a semi-permeable membrane and I didn't want to reduce the size of the room. I wasn't convinced I could nail plasterboard that close to the edge so had to double up the noggins and some of the studs. Photo above looks like a layout for a sauna and DD you no longer nail plasterboards its all screws now. Ha, shows what my memory is like, yep, I used screws, still got the scars to prove it, horrible sharp edged things. The room was going to be for animals but ended up being a man-cave, same thing I guess. or maybe a room for horticulture !!! You spotted the mains cable coming in from the lamppost outside!